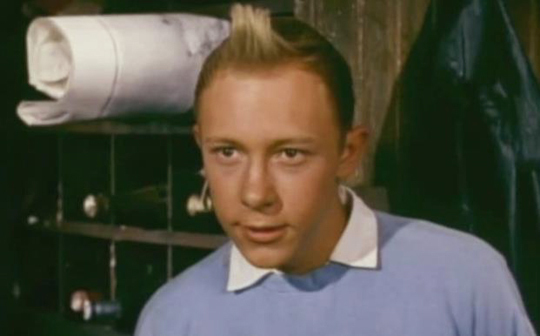 With the Steven Spielberg-Peter Jackson motion-capture version of Tintin due for release next Christmas, the British Film Institute has shown good timing in unearthing, and releasing on all-region DVD, the only two live-action movies ever made featuring Herge’s quiff-haired boy reporter. Apparently, Herge himself had been dissatisfied with previous animated adaptations and approved of plans to make Tintin et le mystere de la toison d’or (Tintin and the Mystery of the Golden Fleece) in 1961, though the script wasn’t actually based on any of the existing stories. The film opens with a telegram being delivered to Marlinspike Hall, informing Captain Haddock that he has inherited a ship in Turkey from Temistocle Paparanic, an old pirate he once did a favour for. 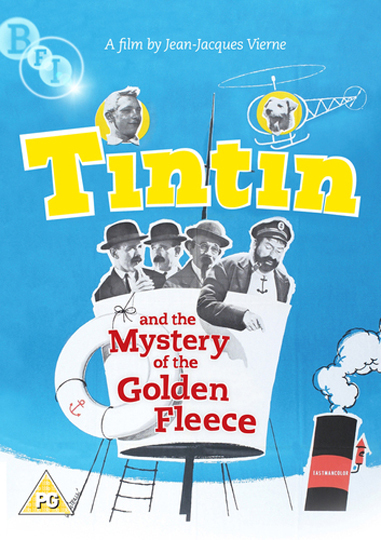 Tintin and the Captain immediately fly to Istanbul and discover that the “Golden Fleece” is actually a small, rusty hulk of a cargo boat. The perpetually apoplectic Haddock is sorely disappointed and inclined to jump at the offer of businessman Anton Karabine, who wants to buy the boat for far more than it’s worth. 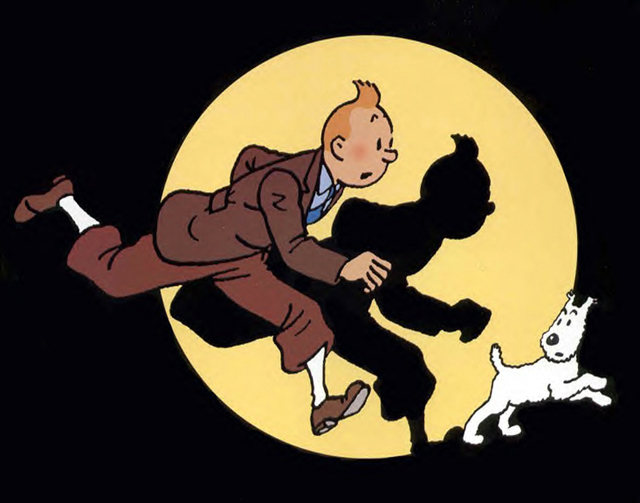 Immediately suspicious, Tintin puts off the deal until he can find out what’s behind it. With a surly, untrustworthy crew, the “Golden Fleece” sets sail for Greece with a cargo of carpets and Karabine’s gang start causing trouble. After several chases, a few murder attempts, and a visit to a remote monastery, Tintin finally pieces together the story of a handful of adventurers who looted a revolution-torn Latin American country of its gold – led by Paparanic himself, who hid the gold from his partners, who included Karabine. I have to confess that I haven’t read any Tintin since early boyhood, so I can’t actually offer an opinion on how faithful or not Jean-Jacques Vierne’s movie is, but I can vouch for it being a leisurely, colourful and quite charming adventure which, while it incorporates a lot of comedy, nonetheless plays the story quite straight. 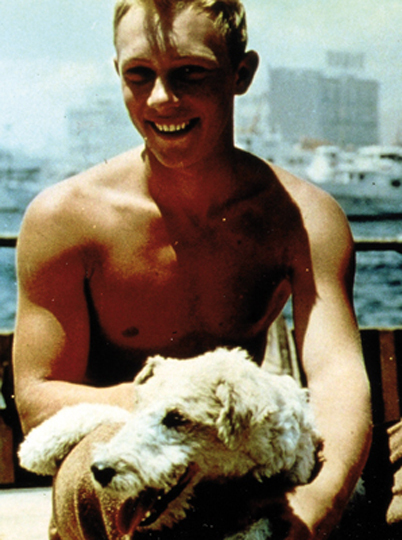 Shot on locations in Turkey and Greece, there’s a pronounced travelogue element as Tintin and Captain Haddock take in the sights while trying to solve the mystery, but the occasional action scenes are handled well, with young Tintin (Jean-Pierre Talbot, a fitness instructor with no prior acting experience) engaging in some very energetic fight scenes, not to mention a precarious climb down the side of a high tower, and a climactic confrontation with the villain in a careening helicopter while the police engage the bad guys in a firefight below. What gives the film its charm is the way Vierne balances the fairly ordinary mystery-adventure elements and colourful scenery with finely drawn comic characters who don’t look quite like real human beings – as if he had somehow used real actors to create motion-captured characters before the technology even existed. 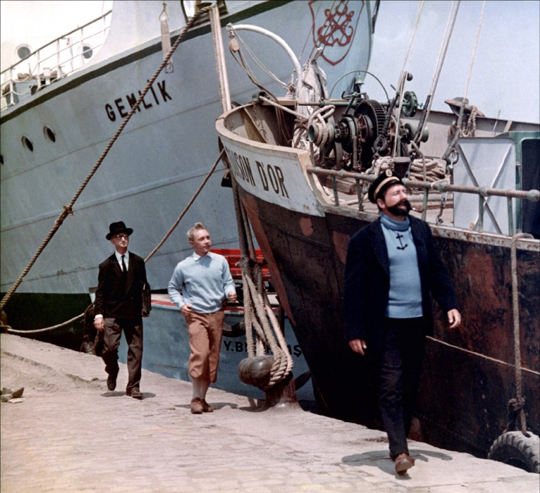 Georges Wilson’s Captain Haddock, with his massive fake beard and outsized personality, is a perfect foil for the smart, practical Tintin, while Professor Tournesol (Georges Loriot), the eccentric scientist, is like a live-action UPA cartoon, and the identical detectives Dupont and Dupont are straight out of Mack Sennett. 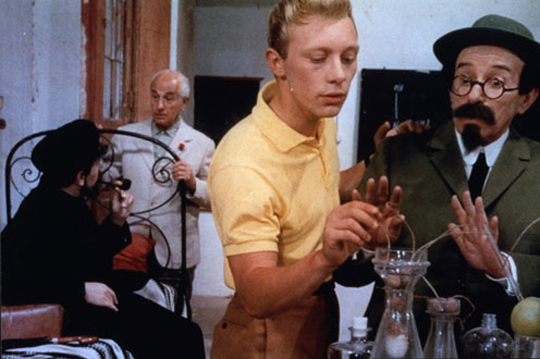 Unfortunately, producers Andre Barret and Robert Laffont hired a different director for 1964’s Tintin et les oranges bleues (Tintin and the Blue Oranges) and recast most of the roles, with fairly disastrous results. 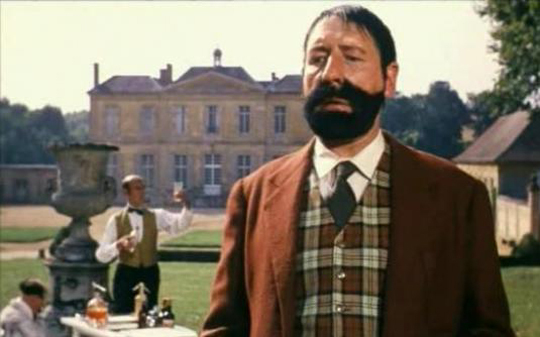 Apart from Talbot reprising the title role, the rest of the cast lacks the charm of the originals, with Jean Bouise particularly grating as Captain Haddock. This story of a scientist who uses radiation to produce mutant fruit which can be grown in the desert (thus supposedly solving the world’s food problems), who gets kidnapped by sinister business and political interests, suffers from random, haphazard plotting, an interminable overuse of undercranking to speed up all the action scenes and a general lack of respect for the characters in the apparent belief that as it’s all “comic”, it’s all nonsense. This second feature wasn’t a success and plans for a third were abandoned. With all the resources at their disposal, no doubt Spielberg and Jackson will be able to turn out a movie which is more visually faithful to Herge’s original books, but I doubt that it can surpass the charm of Tintin and the Mystery of the Golden Fleece. This entry was posted in Commentary, Review and tagged Adventure Films, BFI, Comic Books, French Film, Review. Bookmark the permalink.